Tristano’s love affair with techno and electronic music forms started when he moved to New York to study at the Julliard School aged seventeen, yet it took until last year for Not For Piano to materialise. Auricle Bio On is as unusual a project as is its creator. Counting only two tracks, stretching well past the twenty minute mark, this is neither an album as such nor a EP, but something quite as in between formats as it is in between genres. The first five minutes of Auricle Bio On 1 are set entirely within the electro-acoustic canon, where dry piano stabs sculpted into sharp angular forms, with only rare melodic brushes, float over vast ambient clouds and clusters of noise. Around the two and a half minute mark, the first manifestation of a rhythmic structure of sort, complete with statics, begins to shape up, but it is another few minutes before the piece gains any kind of momentum. During this slow rise, Tristano continues to assemble a complex jigsaw of noises and instrumentation until these progressively make way for a linear groove and moves toward the back of the mix until it all but disappears, its only manifestation found in the dub echoes, occasionally reminiscent of Si-cut.db or Pole, which become the main sonic focus. It then seems as if very little happens, but, like all things working on a large scale, progress is slow and often overshadowed by more pressing events, yet happens on a much more gigantic scale than can be fully appreciated. 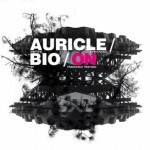 Starting where part one ended, Auricle Bio On 2 continues to build on the rhythmic momentum and vast dubbey axis of its predecessor, and once again, the piece, firmly set on its linear track, is a relentless stab of minimal techno with occasional eclats of noise. Here though, things are more muffled and concealed deep within the mix, as if the transition from part one to part two signalled a shift in focus. Like Murcof, Francisco Tristano proposes an interesting collision of genres with this record, and, despite is classical formation and usual trade, Auricle Bio On is resolutely techno. The scope here is incredibly vast, and appears to continuously expand throughout the record. 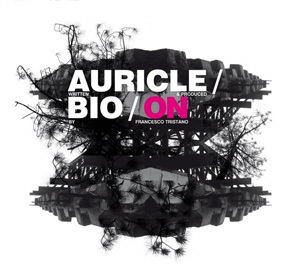 Francisco Tristano offers with Auricle Bio On a challenging and unique piece of work which will bring the work of this most talented of musicians to a whole new audience. I’ve never heard anything by Tristano, but after reading this review, that will have to change. Thanks for this, kind Milkman.